Within a year he became a resident dj at the Chocolatebar in Amsterdam. This was the perfect place to learn the dj profession and learn how to respond on different crowds. And with result. Walter Looks became a resident dj at club Royce in Boxmeer and he was asked to became a resident dj at The Papagayo in Bonaire. This was a once of a lifetime opportunity, so he went to Bonaire for 6 months. Walter Looks played here day in day out for different kind of crowds and could learn more and more about dj-ing. And then again with result. 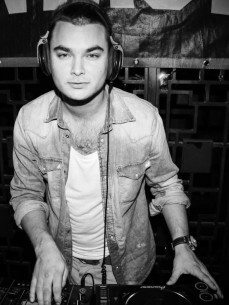 Once he was back in the Netherlands, he got the chance to play at the Jimmy Woo. They were so impressed that they offered him a resident spot on the sunday. From this moment things were about to change. Nowadays, Walter Looks also has several residenties in big clubs like the Chicago Social Club, Club Air, The Sugar Factory and Chapter 21 (Downstairs Supperclub) and gets asked for a lot of different gigs spread all over the country. His passion for music results in a pure energetic allround set, in which his producer skills as well as his solo performance makes Walter Looks a truly devoted performer. His passion and love for music is so big, that he couldnâ€™t play just one music style. The eclectic sound of Walter Looks is well described as an unique mix of R&B, Hiphop, Latin, Disco, Classics and House with a lot of exclusive (own) edits.